Carole King established her solo career in 1971 with her hit album Tapestry, but in the lead up to this she had already written hits for artists such as The Shirelles, Aretha Franklin, The Monkees, The Drifters and more. To celebrate her music and ‘Beautiful – The Carole King Musical’ currently in London, we’ve put together a list of 19 popular songs you probably didn’t know were hers. Written by Carole King and Gerry Goffin, this song quickly became popular, reaching No. 1 on the U.S. Billboard Hot 100 in September 1961. The song has been covered by The Beatles, Dion and the Belmonts, Gary Lewis & The Playboys, Bobby Vinton, Smokie, Micky Dolenz and more. For me, it just reminds me of that SMA advert with the crying baby. Ranked No. 359 on the Rolling Stone magazine’s list of The 500 Greatest Songs of All Time, this song has probably been played at every wedding/family party you’ve ever been to. It is notable for being a huge hit 3 times in 3 different decades. The song hit No. 1 in 1962 with Little Eva, again in 1974 with rock band Grand Funk Railroad and, finally, it reached the UK Top 5 in 1988 with gold hotpant wearing Kylie Minogue. Originally written for girl group The Cookies, ‘Chains’ became a popular cover song for Liverpool bands, and was an early track in The Beatles’ live sets. In 1963, The Beatles recorded a version for their debut album LP Please Please. George Harrision took lead vocals and this was the first time fans heard him singing on a commercially-released song. Recorded by girl group The Chiffons, the song was inspired by the title of the aria ‘Un bel di vedremo’ from Puccini opera Madama Butterfly. 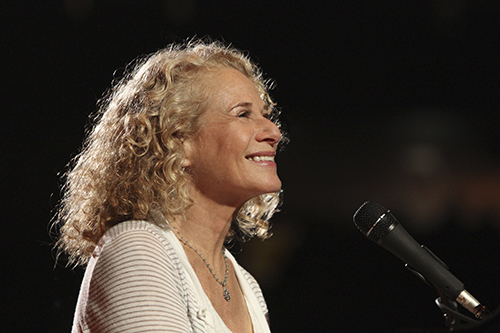 Carole King later scored a hit with the song herself in 1980. It has also been recorded by the Carpenters, Cliff Richard, Bette Midler among others. George Clooney and Michelle Pheiffer starred in a movie of the same name which featured the original on the soundtrack plus a version by Natalie Merchant. Released in 1962, this song became a major hit in early 1963, reaching number 5 on the U.S. pop singles chart and number 4 on the US R&B singles chart. In April 2010, The Drifters’ “Up on the Roof” was named No. 114 on Rolling Stone’s 500 Greatest Songs of All Time list. It is also one of The Rock and Roll Hall of Fame’s 500 Songs that Shaped Rock and Roll. Originally recorded by The Cookies, British band Herman’s Hermits made the song famous and took it to No. 1 in the UK. Made famous by Dusty Springfield, the song perfectly describes the loss of innocence when becoming an adult, and hoping to recapture an essence of youth. David Crosby lost his place in band the Byrds after criticising their decision to record the song. It has been covered by Freddie Mercury, The Pretenders, Bon Jovi, Phil Collins and Diana Ross among many others. The Shirelles’ original is one of the most well-known soul tracks ever recorded. Lead singer Shirley Owens originally didn’t want to record this track, as she believed it sounded too country. This became Carole’s first No. 1 at the young age of 18. It was later recorded for her 1971 album, Tapestry. It has been covered countless times, by everyone from Dusty Springfield to Amy Winehouse. Apparently, Carole hailed the Bee Gees’ cover as the “definitive” version. Co-written with Howard Greenfield. Howard was a coworker of King and Goffin at Aldon Music. The song reached No. 6 in the US Pop Charts in 1962. The lyrics to this song describe how friends and family repeatedly warn the singer about a partner’s infidelities. It has been covered by plenty of big names, including Dusty Springfield, Aretha Franklin, Cher, Linda Ronstadt and Merry Clayton. Gerry Goffin wrote the lyrics about the faults of suburban life, based on the street he and Carole lived on called Pleasant Valley Way in West Orange, New Jersey. It became one of The Monkees’ most successful singles. Released in 1968 on ‘The Notorious Byrd Brothers’ album, it was used the following year to great effect on the soundtrack of Easy Rider. It has also been covered by Dusty Springfield, appearing on the 1999 ‘Dusty in London’ album of lost recordings. Carole recorded her own version in 1969 when she was fronting a group called ‘The City’. This track appears on King’s 1974 album ‘Wrap Around Joy’ and reached No. 2 in the US. Fans of The Simpsons will recognise it as Lisa’s eulogy for Bleeding Gums Murphy. First released by ‘The City’ in 1968. Carole King’s version surfaced in 1980. The song has been covered by Leslie Uggams, Dorothy Morrison ,Dusty Springfield , Bobby Darin and others. The lyrics consist of a man asking a young woman to get away from him, so that he will not be tempted to cheat on his girlfriend and kiss her. Control yourself, please. Later recorded in the 70s by Donny Osmond. The Drifters’ original recording of this song (co-written with Gerry Goffin) reached No. 32 on the US Billboard pop chart and No. 6 on the R&B chart. Covered by musicians such as Marvin Gaye (1968), Jay and the Americans (1970), Peter Cincotti (2004), Aled Jones (2007), and Michael Bublé (2010) in addition to Carole’s own recording in 1971. First appearing on the 1971 Tapestry album. This song is the theme tune to popular comedy drama and was recorded with Carole King and her daughter Louise Goffin. The pair have performed ‘You’ve Got a Friend’ together on many occasions, this clip being one of them. Both artists have received an award for this song; James Taylor won a Grammy for Best Male Pop Vocal Performance, while King won Song of the Year. Made famous by Aretha Franklin, it also appears on Carole’s 1971 album, Tapesty. This powerful song has been taken on by various female powerhouses, including Celine Dion, Mary J Blige, Kelly Clarkson, Bonnie Tyler and, obviously, Rod Stewart. The performance above is Aretha Franklin at the 2015 Kennedy Center Honors. 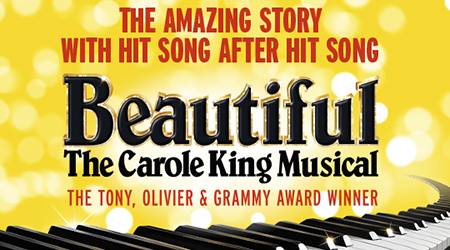 In it we see a very excitable and enthusiastic Carole King and Gerry Goffin, and also a small snippet of Beautiful: The Carole King Musical, currently in the West End.